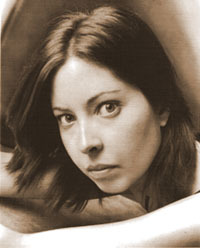 Sarah Manguso is most recently the author of The Two Kinds of Decay. Condition of Mr. Segundo: Contemplating fifty-five additional states of decay. Subjects Discussed: David Markson, sentences that originate in other formats, fan mail, whether a paragraph is truly a paragraph, problems with typesetting nomenclature, remembering personal moments at 1,000 words a day, word arrangement units (“WAUs”), themes vs. timeline, organic vs. inorganic writing, unrecognized planning mechanisms, thinking of the reader, Adam Thirlwell’s The Delighted States, syntactic barriers and foreshadowing meaning, mosaic tiles, the goofy perils of being called a poet, incidental metaphors, the engine of intelligence getting in the way, the uncertainty of employment, the solipsistic degrees of writing, stumbling upon a cohesive idea of what the universe entails, other memoirs of illness, categorization and after-the-fact marketing, reading fiction while writing, John Cheever’s Falconer, surveillance and paranoia, the alphabetical pursuit of hobbies, and the identity of the famous writer baffled by the idea of a hobby other than writing. Manguso: I thought of the pieces as an arrangement in two phases. The first phase was completely chaotic and the second phase was orderly. And during the chaotic first draft phase, the project that I set myself was really just to try to remember everything I could remember about this nine-year period in my life. Just everything. Every individual memory that I could bring up. And after my latest revision had lasted seven years, after that time, it really did seem that the memories had become particulate. Like there really was just one memory that espoused the insertion of the first central line in my chest. And it really did seem to have hardened in my memory into this item, this thing, this chunk of this chapter. And so while I was first writing the book, I didn’t think about chronology. Mainly because I had no idea how to write a book about one thing. I’d never done it before. And I didn’t know anything about narrative or what should come first. I really just wrote the pages all as individual files. And once I couldn’t remember anything else, I printed them all out and tried to notate based on memory and based on asking people what months and what year each thing had happened. And then I just put them in chronological order. Manguso: Let’s call them chapters now. I think that sounds more professional. Correspondent: These particular word arrangement units. WAUs. Wows? Correspondent: We’ll call them wows. Or waz. Manguso: I’m going to call them chapters. But I like wow. Correspondent: You often have text within text. With this italicization. But you have a particular timeline. Because you often use “the day before the decision I wrote” or “I wrote this three months after the diagnosis.” And so it seems that not only arranging these wows into themes, but also into a timeline. I’m wondering how you place prioritization upon a theme over a timeline. Were there certain circumstances? Was this entirely an organic process? Or was there just a lot of tinkering around with order and with rhythm? The way we were talking about this, it almost seems like this quarto of some sort. Manguso: Well, I wish I knew. I’m not really sure how to differentiate an organic process from an inorganic process. Correspondent: Okay. Let’s just say blindly intuitive vs. carefully planned and calculated. Manguso: Well, at the risk of sounding difficult, I’m really trying my best to remember what it was like to write this book. But I made the thing. And the thing is a result of my guiding intelligence engaged with my memory. And I don’t know if I can really distinguish between the decisions that were more intellectual than intuitive. Or more intuitive than intellectual. I wish I knew. It is true that, after the book was done or after the final draft was done, it does seem that there were themes that had been inserted or injected into the book by some planning mechanism that I didn’t really recognize. But I think that’s kind of a familiar recognition to have after you make a thing. It makes sense in ways that you weren’t exactly planning. I’d rather not say that the whole thing is mysterious to me. But I think enough of it is that I’m hesitant to say, “Well, I meant to this, this, and this.” I don’t know what I really meant. Correspondent: Well, I mean, how much should we be really dwelling upon dichotomies?